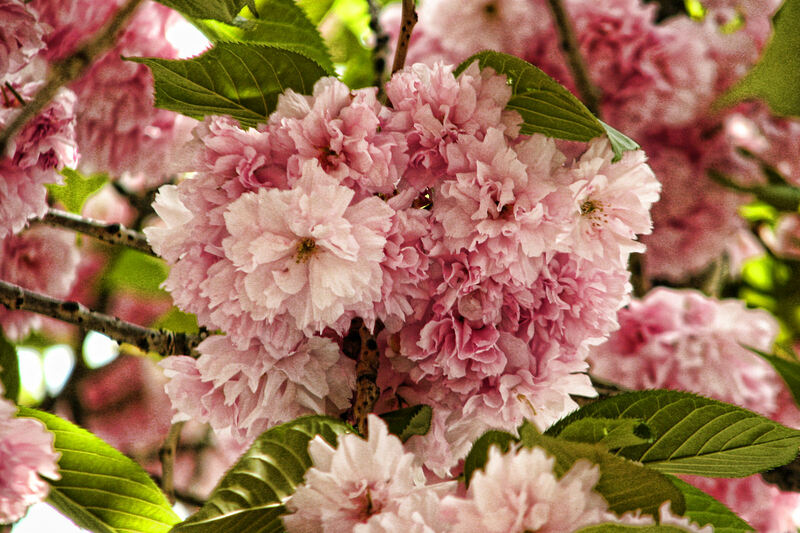 Japanese cherry blossoms. Sad thing is that we had a gorgeous cherry tree standing in front of the house until last year, when the city chopped it down. This is from one of the few surviving ones near here.